Congratulations to all those in St Mark - this week's winning House Team. 29/01/2019: Thanks from the 'Peace Proms"
30/06/2017: Sir Lenny Henry thanks St. Francis de Sales for amazing fundraising effort! 17/02/2017 - Worship Garden Opens! What can you do? Who can you talk to? - Click here to see our Christmas concert 2017! Unit 2 - Are we water wise? Click here and enjoy the official 2018 video! Click here and enjoy the official 2017 video! Día Tres: Science Museum of Barcelona & La Sagrada Familia! Día uno: Our First Day! Click to watch the video from our 2019 skiing trip to France! 07/11/2018 - YEAR 4: Watch our Roman Chester video here! 06/11/2018 - YEAR 4: Science: Electrical Hazards! 12/10/2018 - YEAR 6: The Perfect Number! 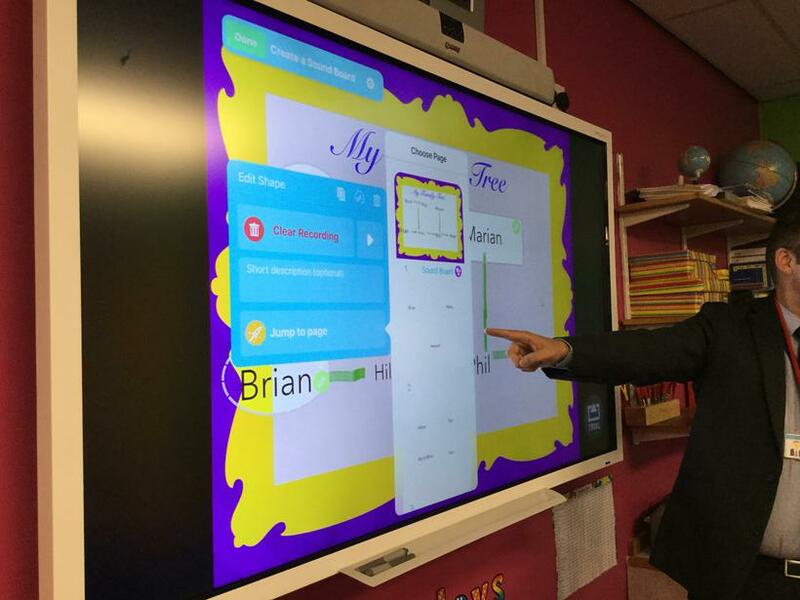 12/10/2018 - YEAR 4: HOME LEARNING TASK: ORACY PRESENTATIONS! 09/10/2018 - YEAR 3: Hold on tight, we're going back 5000 years! 08/10/2018 - YEAR 6: Father Ged visit! 05/10/2018 - YEAR 6: SFDS visit the giants! 03/10/2018 - YEAR 6: Viva Brazil! Check out our video from our visit to Another Place! 28/09/2018 - YEAR 4: Another Place Visit: Preparing for our big debate! 27/09/2018 - YEAR 4: Latin Work: Where did the English language come from? 25/09/2018 - YEAR 5: What can we learn from Ancient Greek artefacts? 21/09/2018 - YEAR 4: Roman Radio! 19/09/2018 - YEAR 5: Where does the Ancient Greek period fit in with world history? 18/09/2018 - YEAR 4: Rounding Numbers: Reasoning Challenge! 17/09/2018 - YEAR5: What evidence is there that the Earth is spherical? 10/09/2018 - YEAR 5: How did the Ancient Greek landscape impact its people? 07/09/2018 - YEAR 6: Team building - start of a new school year. 06/09/2018 - YEAR 5: What is the meaning behind our school badge? 06/09/2018 - YEAR 4: Ukulele begins! 04/09/2018 - YEAR 5: Prefects: Applications Open! 06/07/2018 - Investors make the Educate Magazine! 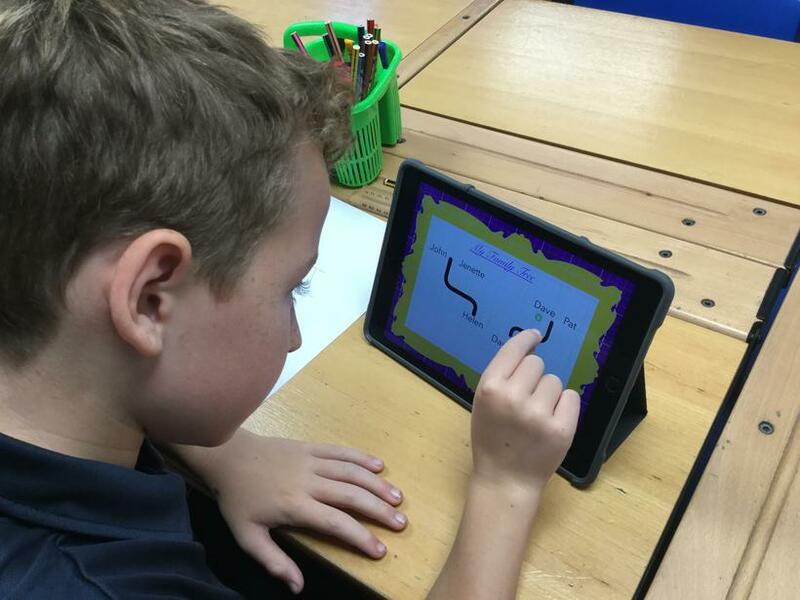 25/06/2018-26/06/2018 - YEAR 6: DT in action in class 15! 22/06/2018 - Promoting a Library Event to the Community! 18/06/2018 - 19/06/2018 - YEAR 6: DT in Action! 08/06/2018 - YEAR 6: Human Bar Charts! 07/06/2018 - 'We Are Writers' Books Available at Spellow Lane Library! 09/05/2018 - YEAR 5: Butterflies fly off! 04/05/2018 - YEAR 5: Caterpillar Update: Our Beautiful Butterflies are Emerging! 24/04/2018 - YEAR 5: Say hello to our new friends! 10/04/2018 - idot art competition - We need your help! 29/03/2018 - YEAR 6: Our Eggcellent Egg Competition - What SMASHING year! 29/03/2018 - YEAR 4: Y4 Eggcellent Easter Egg Competition! 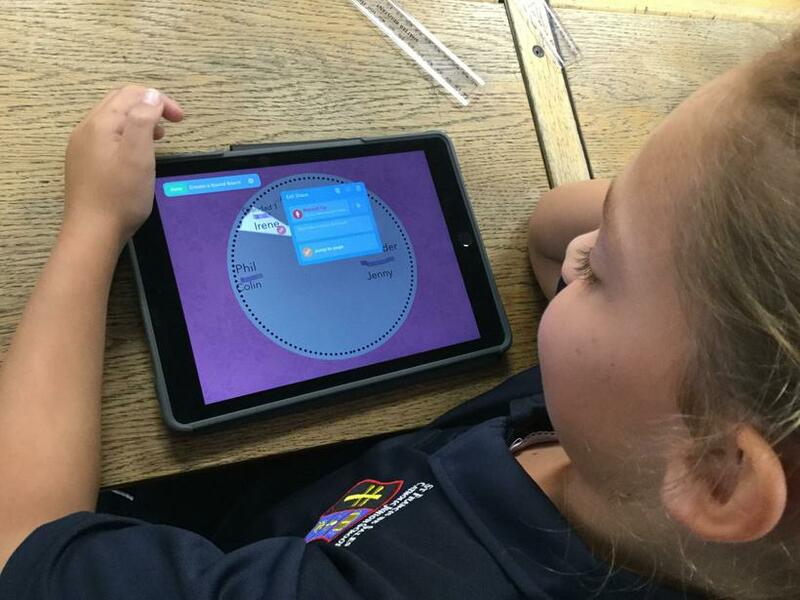 23/03/2018 - YEAR 4: Science: Solids, liquids and gases. 01/03/2018 - We Are Writers! 01/03/2018 - YEAR 4: World Book Day in Year 4! Play Pod Video - see how we play at lunch time. 18/01/2018 - YEAR 3: We Are Writers! 13/01/2018 - YEAR 5: Escape Rooms! 11/01/2018 - YEAR 6: Escape Rooms! 20/12/2017 - A huge thank you from Alder Hey! 23/11/2017 - LFC turns 125! 21/11/2017 - YEAR 5: Forces Science Workshop with Mr B! 12/10/2017 - YEAR 4: CHECK OUT OUR ROMAN CHESTER VIDEO HERE! 10/10/2017 - YEAR 5: What does it take to make friendship thrive? 06/10/2017 - YEAR 3: Place Value reasoning mystery concluded. 21/09/2017 - YEAR 4: Ukelele begins! 09/12/16 Year 3 videos added! (20/1/16) Year 4 set the standard for everyone!! Year 3 trip to Legoland!! Year 6 Debating - Champions of Liverpool!! Class 4 visit the Stone Age! 09/10/2018 - Hold on tight, we're going back 5000 years! 04/04/2019 - Ferry, 'cross the Mersey! 16/01/2019 - Science: Good Vibrations! 06/11/2018 - Science: Electrical Hazards! Watch our Roman Chester video here! HOME LEARNING TASK: ORACY PRESENTATIONS! 28/09/2018- Another Place Visit: Preparing for our big debate! 27/09/2018 - Latin Work: Where did the English language come from? 18/09/2018 - Rounding Numbers: Reasoning Challenge! 24/01/19 - Happy Feast Day! 25/09/2018 - What can we learn from Ancient Greek artefacts? 19/09/2018 - Where does the Ancient Greek period fit in with world history? 17/09/2018 - What evidence is there that the Earth is spherical? 10/09/2018 - How did the Ancient Greek landscape impact its people? 06/09/2018 - What is the meaning behind our school badge? 04/09/2018 - Prefects: Applications Open! 05/06/2018: National Young Mathematicians' Awards - Regional Finals! 21/11/2018 - Oracy in Action! 12/10/2018 - The Perfect Number! 08/10/2018 - Father Ged visit! 05/10/2018: SFDS visit the giants! 07/09/2018 - Team building - start of a new school year. 06/10/2017: Place Value reasoning mystery concluded. 29/03/2018 - Y4 Eggcellent Easter Egg Competition! 23/03/2018 - Science: Solids, liquids and gases. 01/03/2018 - World Book Day in Year 4! CHECK OUT OUR CROSBY BEACH VIDEO HERE! 15/12/2017 - Christmas Jumper Day! CHECK OUT OUR ROMAN CHESTER VIDEO HERE! 16/7/18 - Science - Human Life - What will you look like in 50 years? 09/05/2018 - Butterflies fly off! 04/05/2018 - Caterpillar Update: Our Beautiful Butterflies are Emerging! 24/04/2018 - Say hello to our new friends! 22/11/2017 - LFC turns 125! 21/11/2017 - Forces Science Workshop with Mr B! 10/10/2017 - What does it take to make friendship thrive? 06/09/2017 - Job Advert: Prefect Positions! 25/06/2018-26/06/2018: DT in action in class 15! 18/06/2018 - 19/06/2018: DT in Action! 29/03/2018: Our Eggcellent Egg Competition - What a SMASHING year! 05/12/2017 - Bringing History to Life - WWI Workshop with Mr B. 17.03.17 - Art Week: Antony Gormley Inspired Sculpting! 28.11.16 - Science with Mr B. 08/05/17 - 12/05/17: Intense!! Split or Steal?! 01/05/17 - 05/05/17: Guest Stars! 18/04/17 - 21/04/17: Summer Term! 03/04/17 - 07/04/17: It's Easter! 20/03/17 - 24/03/17: Vamos, campeon! 06/09/17: Job Advert - Prefect Positions! 07/06/17: Back by popular demand.... Graffiti English! 0704/17: Year 5 Easter Eggs! 15/03/17: PE - Hanging in the Balance! 08/03/17: Friends, Romans, countrymen, lend me your ears! Graffiti English! 10/02/17: South American Dance Workshop! 03/02/17: Museum of Science & Industry Trip! 18/09/2017 - Electricity workshop with Mr B. 08-09 June Watersports at the Albert Dock! 11/10/2016 - Science Workshop: Investigating Electricity. As part of their R.E topic, ‘People’, Year 4 have been exploring their family trees. 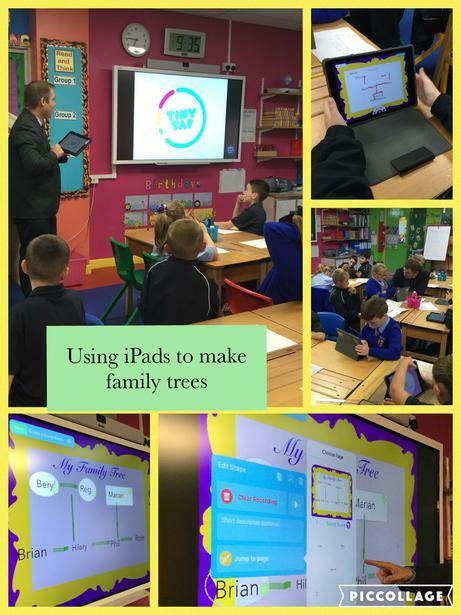 This week, the children had a fantastic opportunity to create their very own online, interactive family tree with the help of Hi-Impact. 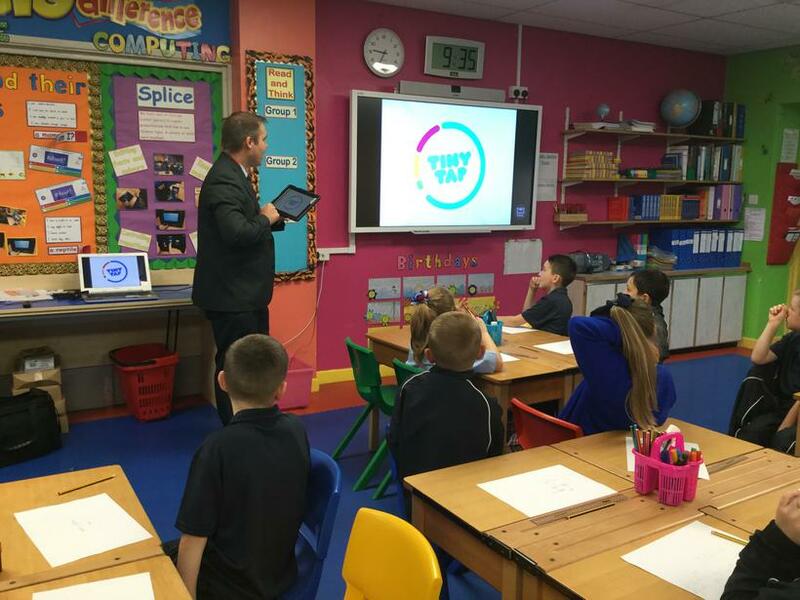 Mr Griffiths and Mrs Marsden had the children engaged from the start and they were all amazed by what they could achieve using the iPad app ‘TinyTap’. All of the children had to use their computing skills in order to create an interactive family tree that even included links to other pages! Once they had designed the background, the children then inserted all of their family names onto the template. Some children even recorded voice notes to reveal some interesting facts about certain family members! The children had a great lesson and realised just how much they knew about their families and how it can be used to create something fantastic. What a brilliant opportunity to explore their family tree and learn all about their new classmates’ families too!